Four senior athletes-athletes at Watchung Hills Regional High School (WHRHS) signed letters of intent on Wednesday, November 14, “Fall Signing Day,” to play sports for the Division I or Division II universities they plan to attend next year. “Congratulations to the WHRHS student-athletes who have signed their National Letter of Intent,” said both WHRHS Athletic Director Daniel Root and Principal George Alexis. The four who signed are: In Girls Soccer, Kaylee Donnelly, who plans to study at Bucknell University; Kelly Fitzgerald, at the University of Rhode Island; and Lindsay Wolf, at the University of Massachusetts (UMass), Amherst; and in Girls Lacrosse, Madelyn Murphy, at Monmouth University. Bucknell, URI, UMass, and Monmouth are all Division I schools. “All student-athletes who will be continuing their athletic careers at a Division III school will be recognized during the Spring Signing Day session on Wednesday, May 1,” Root said. “In addition, Division I and Division II student-athletes who committed after the fall and winter signing dates will be invited to participate in May. The last day of this kind of recognition will be Wednesday, June 5. 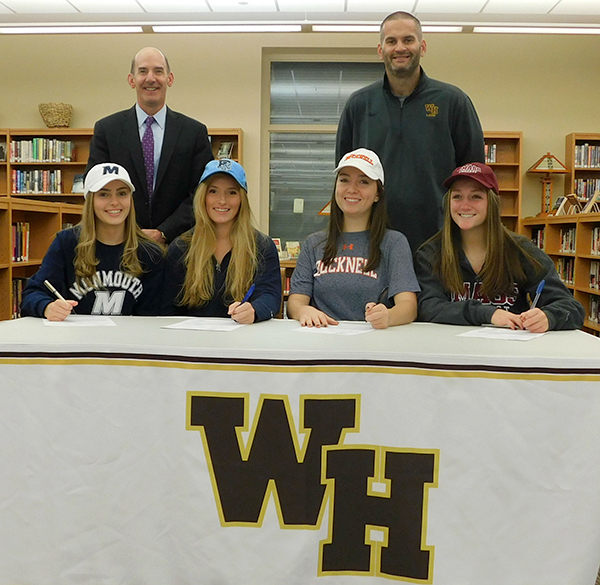 (above) Four senior athletes-athletes at Watchung Hills Regional High School (WHRHS) signed letters of intent on Wednesday, November 14, “Fall Signing Day,” to play sports for the Division I or Division II universities they plan to attend next year. The four who signed are (seated, l-r) Madelyn Murphy, Kelly Fitzgerald, Kaylee Donnelly, and Lindsay Wolf. Standing behind them are WHRHS Principal George Alexis, left, and Girls Soccer Coach, Brian Fugueiredo. 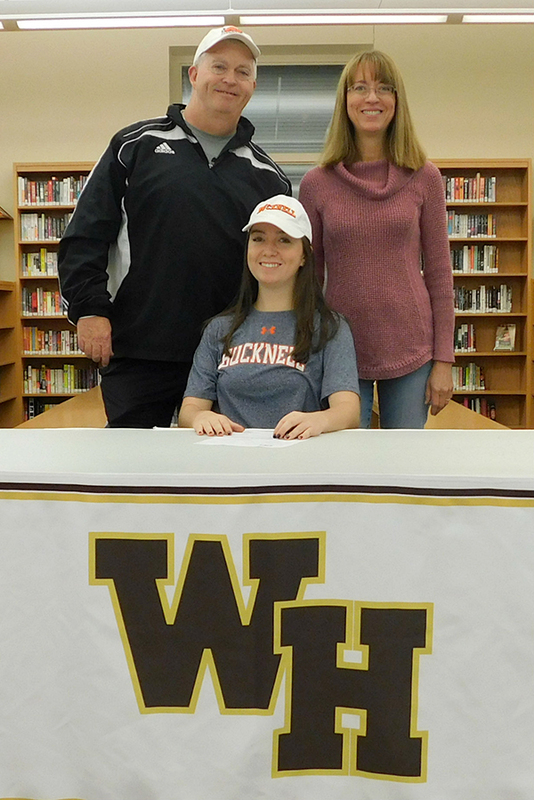 (above) Attending the Fall Signing Day ceremony at WHRHS on Wednesday, November 14, are Rob and Kathy Donnelly and their daughter, Kaylee, who plans to play soccer at Bucknell University. 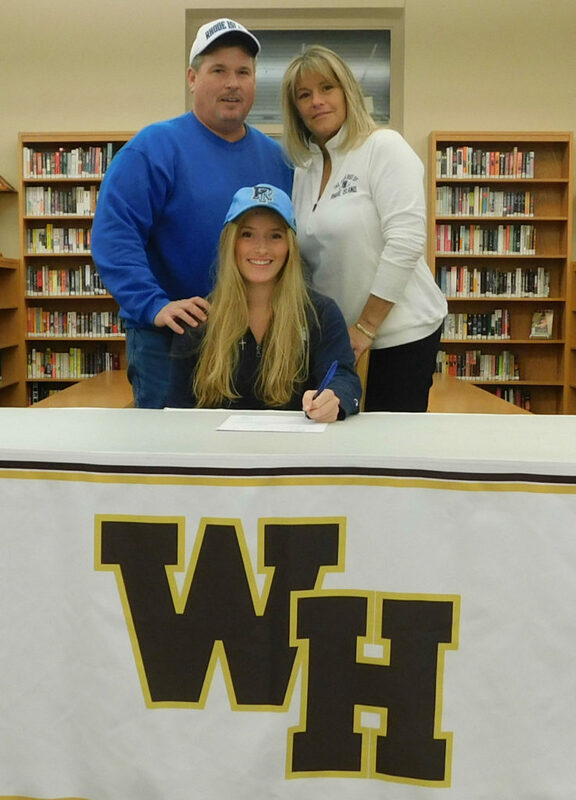 (above) Tim and Nancy Fitzgerald, and their daughter, Kelly, who plans to play soccer at the University of Rhode Island. 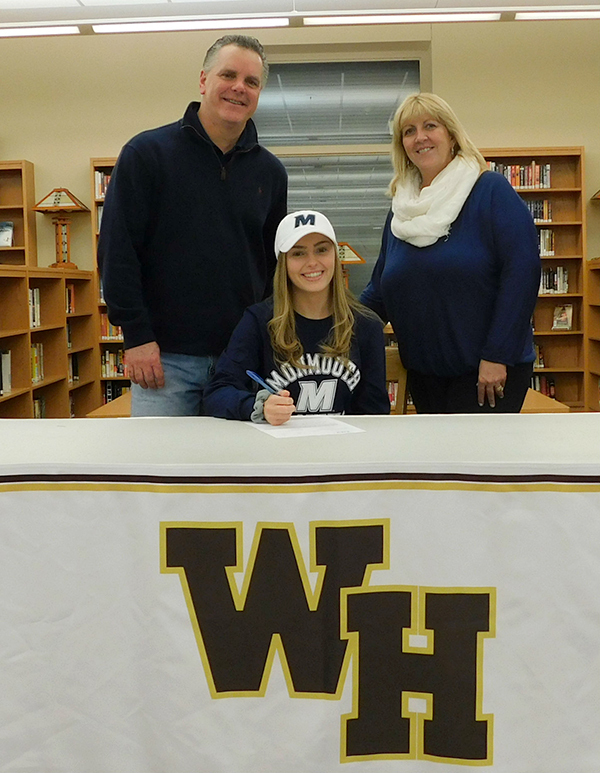 (above) Chris and Terri Murphy, and their daughter, Madelyn, who plans to play lacrosse at Monmouth University. 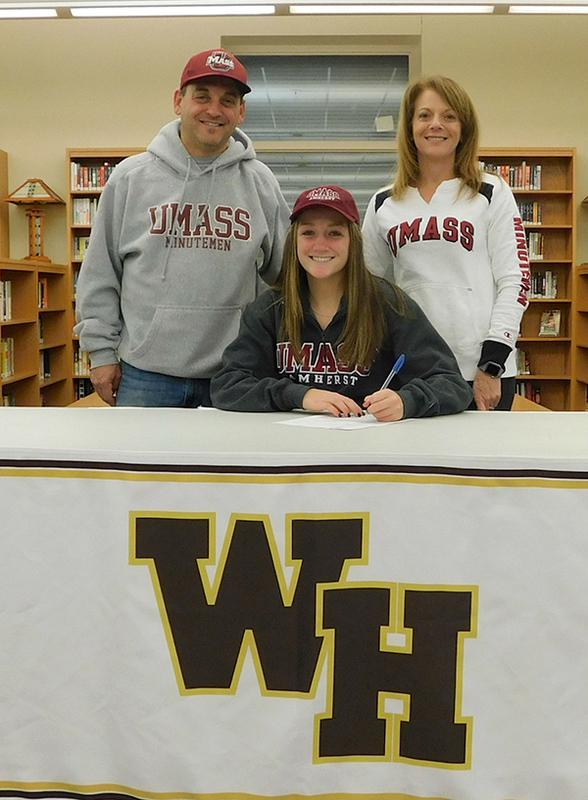 (above) Gary and Meredith Wolf, and their daughter, Lindsay, who plans to play soccer at the University of Massachusetts, Amherst.